MDK Law Founder Mark Kimball was recently invited to join, and was accepted into, the Center For International Legal Studies (CILS) Congress of Fellows. CILS is an Austrian non-profit education and academic institution located in Salzburg. 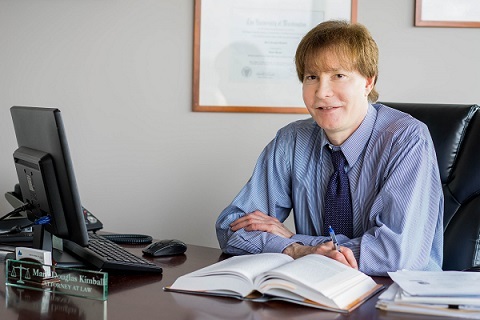 Mark’s work with the Center began in 2006 with publication and presentation of a major research paper on the analysis of governmental and legal policymaking using the constructs of Historical Institutionalism, a theoretical model used by Mark in many other research projects. Mark’s work with CILS evolved into five teaching series at European Law Schools between 2010 and 2016, most of which were at Eotvos Lorand in Budapest, one of the most respected law faculties in Europe and a member institution of the E.U.’s Erasmus program. In 2016, Mark received his second post-doctoral degree (LL.M.) in Transnational Commercial Practice. Mark heads MDK Law’s international business and tax practice fields. Mark Kimball is the founding shareholder and President of MDK Law, a Seattle area based law firm with attorneys licensed to practice in Washington, New York, California, Texas and Oregon. Mark received his Juris Doctor and his first Master of Laws (LLM-Taxation) degrees in the United States, and a Master of Laws (LLM) in Transnational Commercial Practice from a joint US-EU academic program in Europe. Mark has presented at international legal conferences in Europe and Latin America.Mark Kimball is President and founder of MDK Law and has received numerous awards in recognition of his accomplishments.